The Arts Office, Laois County Council will host a writers workshop titled “Unlocking the Creative Self” with writer Pauline Clooney at Laois Arthouse, Stradbally on Thursday 12th October from 4pm-6pm as part of the Laois Connects Programme. Many writers have said that their own life experiences inform their writing whether that writing is fiction, poetry or creative non-fiction. New writers will often be told to write about what they know, but this does not mean that you are restricted to write about what you have experienced. Once you acquire the tools for flexing your writing muscle you will be taken to places you didn’t know you knew, characters you don’t remember meeting, events you’d forgotten you were part of. This workshop will take you through ways of exploring what it is you know and what you don’t realise you know. The workshop will be activity and discussion based. There will be a short piece of writing you will be asked to read in preparation for the course content. All you need on the day is a pen and some paper and an open mind. Pauline Clooney is a native of Portlaoise. She holds an M.Litt from NUI Maynooth (2006), and an MA in Creative Writing from UCD (2015). 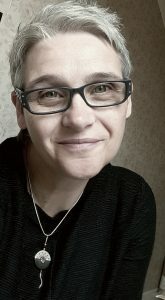 She is an award winning writer having won the RTE Guide/Penguin Ireland Short Story competition in 2015 and being runner up in the Doolin Short Story competition (2015). Her stories have been longlisted for the inaugural Colm Tóibín Short Story Competition (2016), the Fish Short Memoir competition (2014), the Fish Short Story Prize (2015). She is the 2017 recipient of Kildare County Council Tyrone Guthrie bursary. Formerly an English and history teacher at second level she now teaches creative writing at the Kildare Writing Centre which she established in 2016. She is currently working on her debut novel.